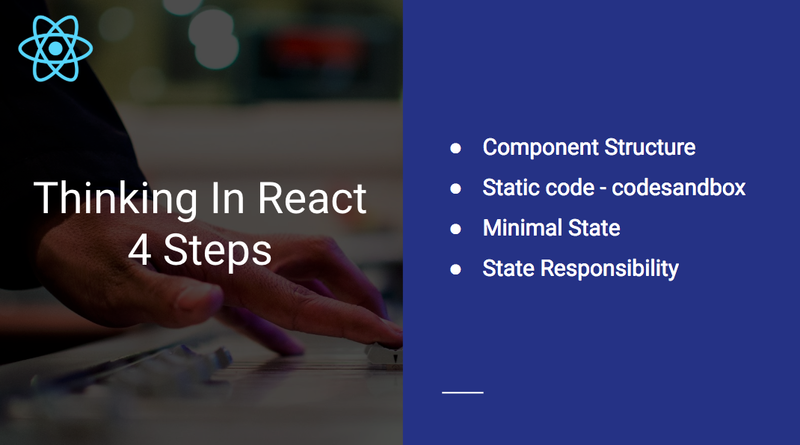 For a long time I wanted to create a React lecture but could never find the right time and courage for that. But Luckily , I told some people about it some spontaneous calls and meetings and some of them gave me some great tips and made me feel I can do it. Feeling you can is not enough , but you also need your first early adopter for presenting the lecture and get valuable feedbacks. 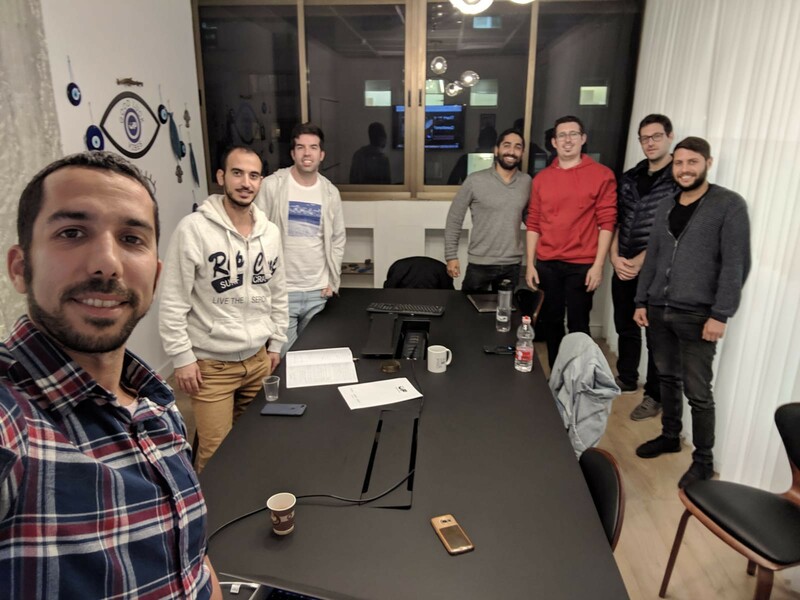 Two months ago, Omri Bitan(a great friend and the founder of UpStream Accelerator) , approached me and asked me to do a React lecture for the 5 startups there. Of course I said yes and from there the clock started to tick and I did not have a choice but to be efficient and just do it! It is truly important for me that others can learn from my processes and make their life easier if they are also trying to do the same thing. What do I want people to take from the lecture? 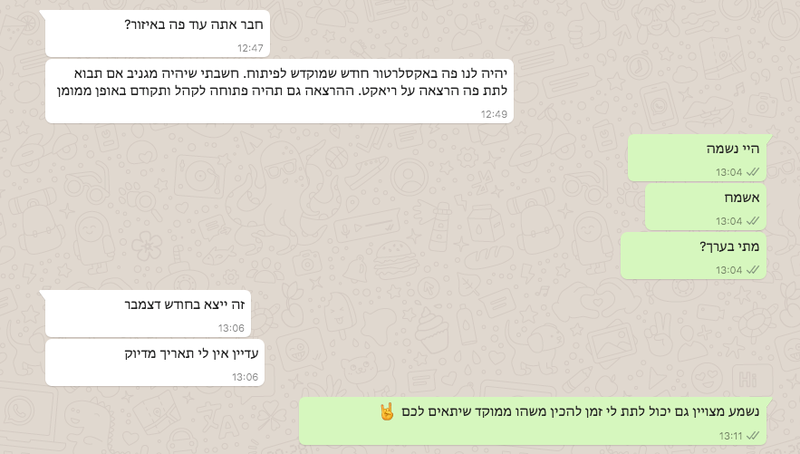 And than without a notice , Omri Bitan (the man!) 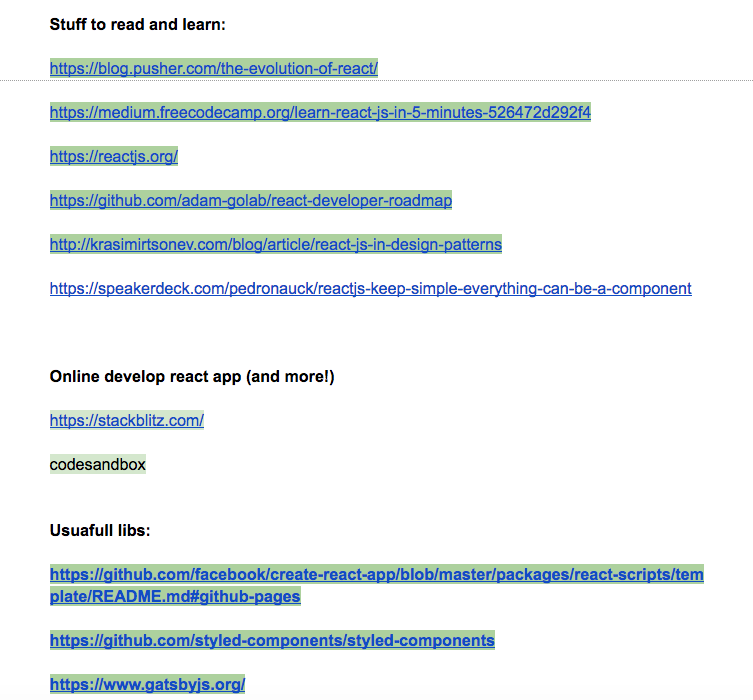 asked me : “Hey Chen, can you do for us a React lecture one and a half month for now? Me: Oh of course! 3. Find some subjects for the lecture. Only subjects that you are passionate about! What questions can you ask the audience? Where can you involve them in the thinking processes as part of the lecture? 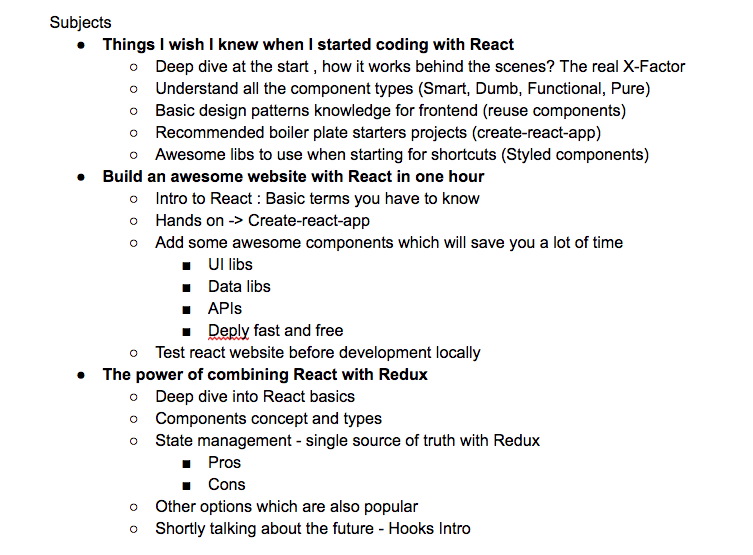 For example, I did live coding with a funny emoji React website and asked them to tell me how they would build it. 6. Now everything is ready — Create the presentation! Put a timer and try doing the lecture talking to yourself, even if you are not ready. It is the best way to see where you are natural and where you are stuck. Get feedback from them and write it. 8. You are ready to go! 9. After the lectures, don’t be shy! Get personal feedback from part of the audience. There is always a place for improvements! I will be happy to get your feedback!